In the previous 2 articles in this series, I discussed the things to consider when booking a flight as well as the tools that I use to quantify savings and decide on where to buy your tickets. In this article, I’ll walk through 2 examples to show the kinds of savings that you can generate just by knowing how to buy your ticket efficiently. The 2 examples I will walk through will be an overseas flight from Toronto area to Brazil around Christmas and a flight from Toronto area to Boston for an extended weekend trip in September. There are a few different booking engines. If you use a shopping portal, like Top Cash Back or eBates, then link to those booking engines, you can get some cash or points back for the sale you have generated (to yourself). At the time of this writing, these are the best booking engines and their shopping portals for buying air tickets. For expensive tickets, you will want to focus on percentage return. For cheaper tickets, the flat dollar amount will be better for you. If you can split up your purchase into distinct one-way tickets, you will double your cashback rebate. It is important to use the best credit card for the job. I suggest using a card with insurance benefits (like a Gold level card) and one that gets good return for travel. For the purposes of our analysis, let’s assume that your rate of return will be 2% from your credit card points (although I could argue that an American Express Gold Rewards card would return closer to 6% on airfare purchases). For the purpose of these examples, I will assume that everything is in USD. This way there is no need to worry about currency conversions in the math. Theoretically the price of a ticket should be the same in real terms, adjusted for the currency that it is being sold in. Let’s say you were interested in going to Brazil around Christmas. We throw a wide net with many airports near Toronto to many airports in Brazil. Based on this, we can find the best flight to get us close to our destination. If the best route uses a non-local airport, we can decide quickly if it is worth it to make our own way to the cheaper airport or just pay the cost of flying from Toronto. We input the information into the Matrix and we establish that the best date to fly is Dec 19 – Jan 1 on Air Canada for $1206. In this case the best fare is from Toronto to Sao Paolo so we don’t have to think about going anywhere else. 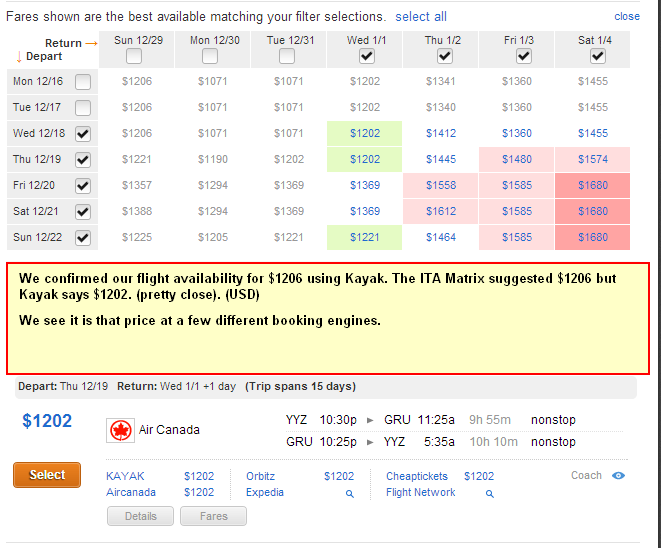 Kayak then confirms that this price is $1202 for that flight available from various engines. Since this is an expensive flight, we would benefit by booking this through an engine that pays a percentage back in referral commission instead of a flat fare. 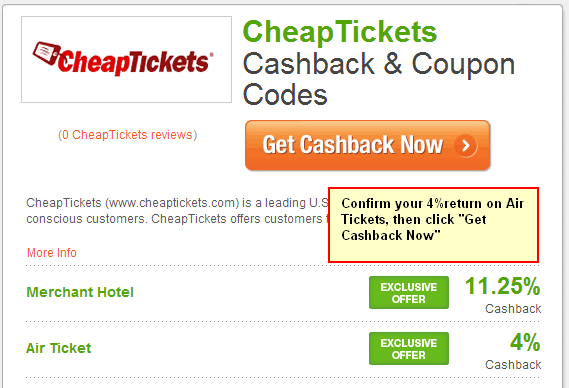 My favorite would be Cheap Tickets engine linked through the Top Cash Back portal. At the time of this writing that would return 4% in referral commissions. Kayak suggests this is available at Cheap Tickets for the same price as everywhere else. We can confirm that with one click. 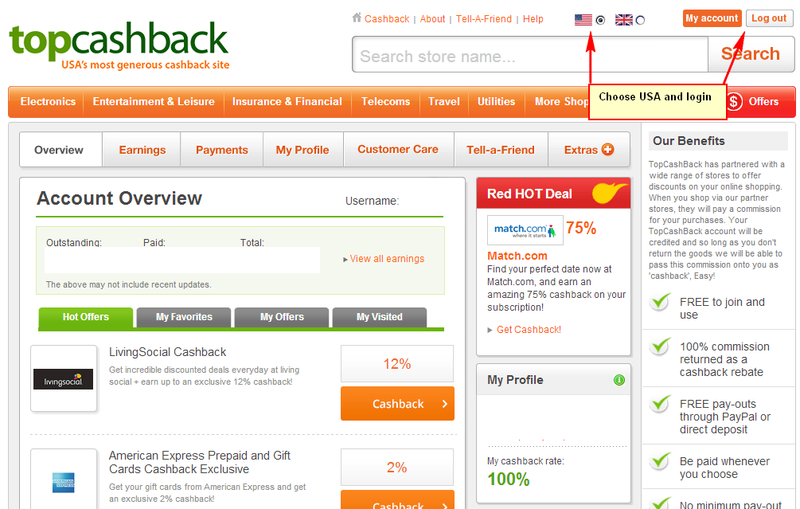 Now that it is established that this ticket is going to be purchased from Cheap Tickets from the Top Cash Back portal, it is a matter of going through the steps of doing that (see the screenshots below). 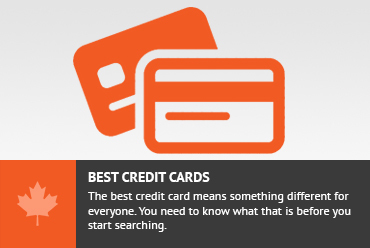 Another thing to bear in mind is that you will want to use the best credit card for booking flights. We have established that we will use the benchmark of 2% to value the credit card rewards and assume that there are no additional costs associated with currency conversion. Let’s say you want to go to Boston for an extended weekend in October from Toronto. 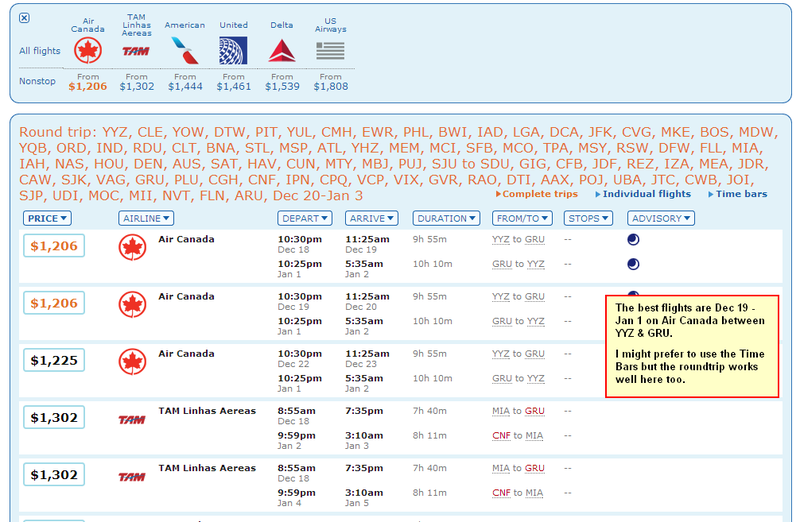 Using the Matrix, we look at the prices from the Toronto area to Boston. We input the airports we are ok with flying from, including Toronto Pearson, Toronto City Center and Buffalo. Given the pricing of this ticket, it is going to be a good idea to look at this as 2 separate one-way flights and see if there is any benefit to booking it as a roundtrip. 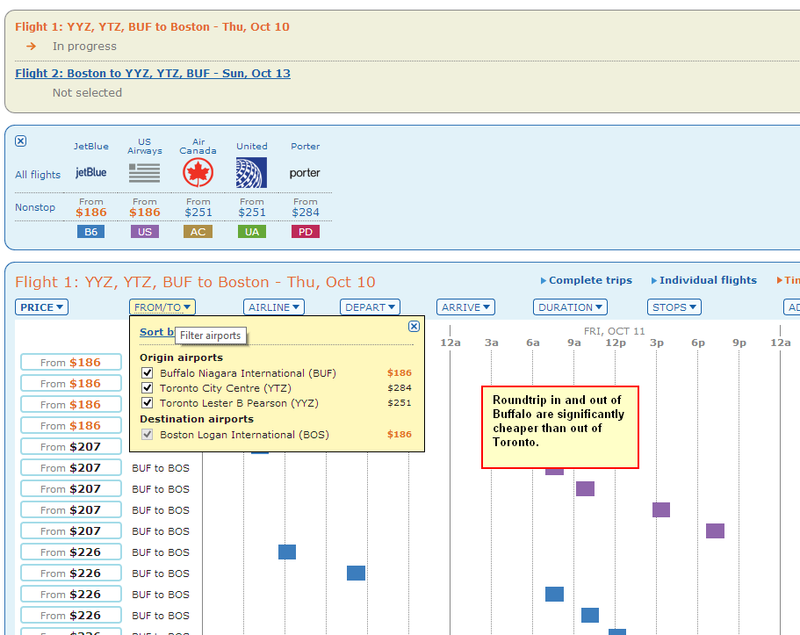 The ITA Matrix suggests going from Buffalo Oct 10 – 13 on US Airways and we can confirm this with Kayak. At this point, we have to decide which is the best engine to book from. 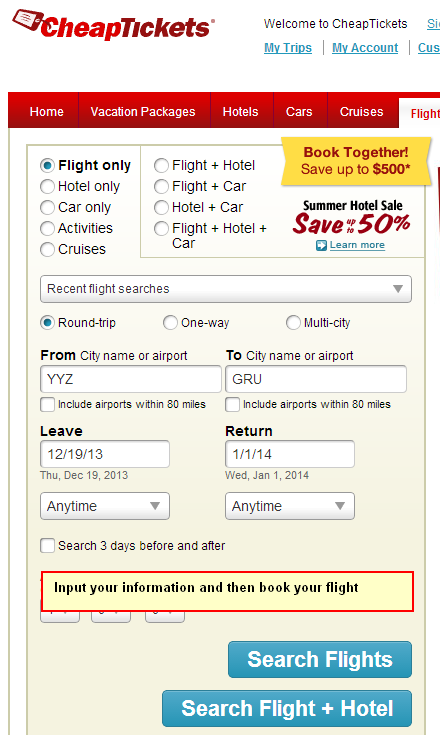 CheapoAir gives $8 / booking and Orbitz gives $5 / booking while Cheap Tickets gives 4% back. If we can split this round trip into 2 distinct one-way fares we can get the flat $x / booking commission for each one-way flight, doubling the referral commission. It appears that Orbitz is willing to sell 2 independent one-way flights that will in total come up to the same price as the roundtrip (CheapoAir was not cooperative). In this article, I showed you a few examples of how to specifically save you some money when you fly. Some of these techniques are very easy and should really just put money in your pocket when you book the flights. In the 2 examples, I showed that you can save in the range of 4% – 6% through referral commissions and another 2% by using the appropriate credit card. On a flight to South America, this adds up to over $70. Not sure how to clear my cache (on a mac air) and what this does. Can you help? 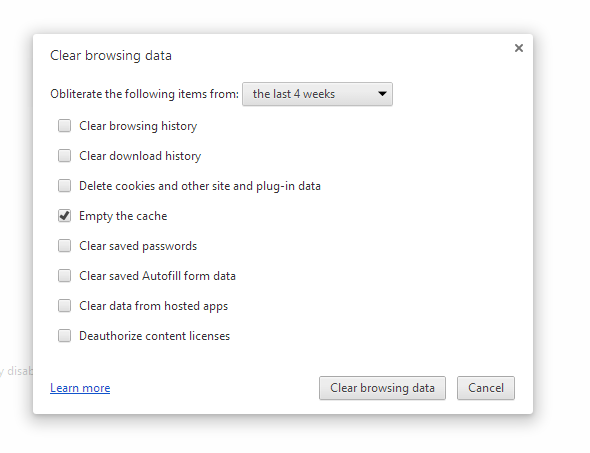 Here is some background as to why you want to clear your cache. When you go to a website, there are tracking cookies that are sometimes placed on that session. This tracker tells the website how you entered the site (was it a referal link or just google search etc.). Based on this information, they can pay the referal comission or not (among other things). This session tracking info is stored in your “cache” so that if you accidentally close the browser (for example), you can restore your exact session with the shopping cart or form filled (etc.). When you go to a page you have in your cache, the browser will load up the cached version and not a new one. Let’s say that you have previously were viewing an item on Amazon then you closed your browser. Amazon might have the session open for 2 hours (for example). If you then use a referal link (such as eBates or Top Cash Back) and go to Amazon from there, the cached version will be pulled up and not the “new” one that eBates wants opened. If you make a purchase from Amazon, it will get credited to the original session and not the “new” session that eBates opened. In this case, eBates links would not get credit for the purchase, and as a result, you would also not get the commission from eBates. Clearing your cache will delete any previous sessions you have sitting around and will ensure that the purchase you are about to make will be from an Amazon session that eBates initiated. Don't subscribe All Replies to my comments Notify me of followup comments via e-mail. You can also <a href='https://www.creditwalk.ca/comment-subscriptions/?srp=1176&srk=2648578ecea05c83754707575dc5a494&sra=s&srsrc=f'>subscribe</a> without commenting.